You will be working and living with other interns from all over the world. Your instant social network will be composed of like-minded diving enthusiasts who are here for the same reason- to dive, learn and HAVE FUN! We are located in Sanur, a low-key suburb of Denpasar, capital of Bali Province. 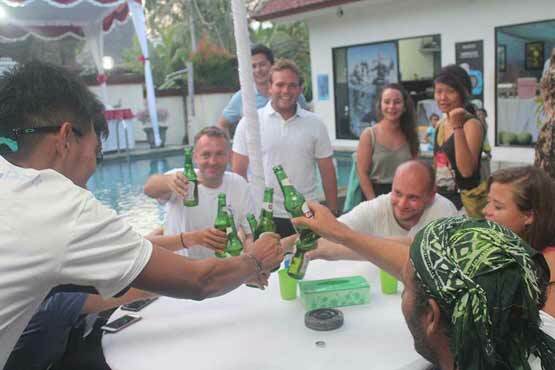 After a great day’s diving, internship participants commonly have dinner and a beer or two together at one of Sanur’s many pubs and restaurants. The nightlife in Sanur is laid-back and features plenty of variety, with English pubs, sports bars and high-quality Western and local restaurants. 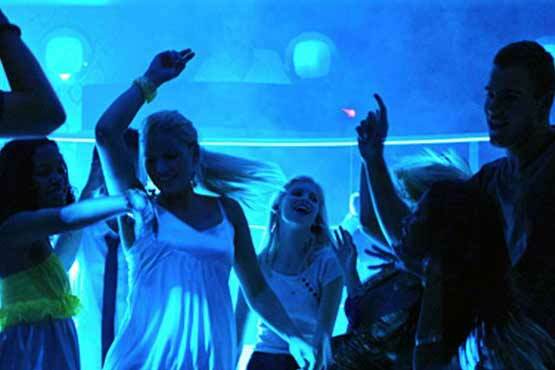 The world-famous pandemonium that is Kuta’s nightlife scene speaks for itself. With hundreds of bars and disco clubs jam packed with partygoers, this is the ultimate place to shake what your mama gave you. On a good night, the absolutely manic chaos of Kuta makes Las Vegas look like Disneyland. The best bit is that it’s only a 15-20 minute taxi ride away! Oh, sweet Kuta. 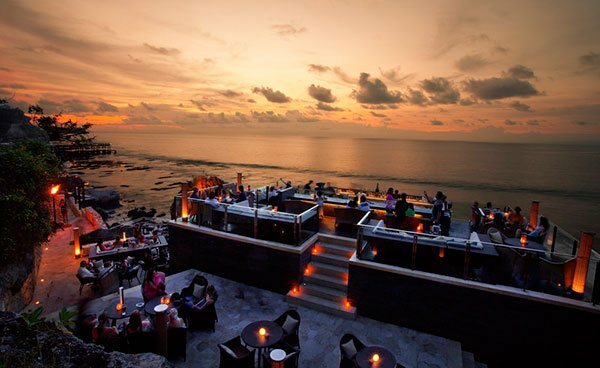 Located adjacent to the best surfing beaches in Bali, Kuta is the top nighttime draw for Bali’s party animals. On a given night in Kuta, you can meet divers, surfers, backpackers, locals, expats, freaks, weirdos, and occasionally even some of our staff members! Kuta’s world-renowned clubs such as Sky Garden, Bounty, Paddy’s, Ocean Beach Club and The Engine Room keep these all-nighters going strong. Kuta is not the only hotspot in South Bali. The clubs of nearby Seminyak are up and coming in Bali’s fast-paced nightlife scene. Generally more upscale and usually featuring international guest DJs, the music and dance crowd in Seminyak are setting the trend for the finer side of Bali nightlife. Major clubs to hit are Double Six, Bacio and Kudeta. Day two of the PADI IE generally concludes late afternoon. We will be there when you get your certificates. After the official closing by the PADI Examiner, it’s time for a bit of food and drink. Conveniently enough, the IE usually closes before sunset so we can grab a few cold beers to celebrate and then start the party! After taking an hour or two to let your success sink in, everyone’s off to shower and later meet for dinner. We’ll generally have dinner and drinks at one of the many excellent restaurants here in Sanur. Blue Season Bali’s organized involvement with your celebratory activities ends after dinner. We do, afterall, have a business to run!